Small-business owners in nearly every field struggle with cash-flow, particularly in the early stages of their business. In fact, the majority of failed businesses—nearly 60%—say that all or most of their failure was due to cash-flow issues, surveys show. 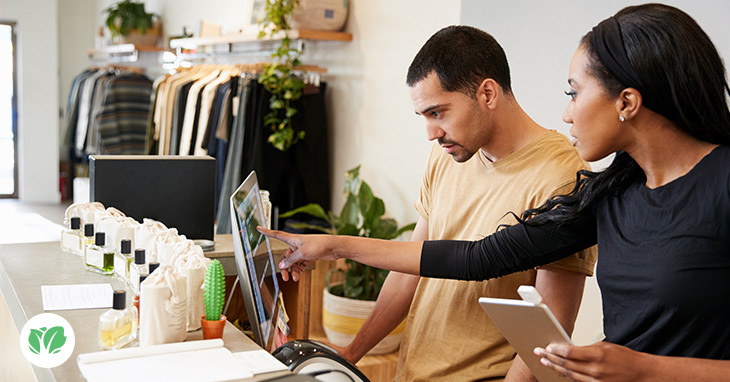 Here are three cash-flow metrics that encapsulate a few of those challenges—along with stories from small-business owners (and Kabbage customers) about how they managed to overcome those hurdles. To learn more about ways your business can get a handle on cash flow, check out our cash-flow guide. Businesses are capital intensive, with money needed to pay workers and cover unexpected expenses. Take Tony Hernandez, who grew up in a family of restaurateurs, and had a lifelong dream of founding his own restaurant. He finally did so when he opened Cienfuegos Cuban Cafe in Los Angeles in 2015. But before he did so, he steeled himself for the cash-flow challenges he knew would define his first year in business. Tony tried to stem some of those issues by building a following first, testing out his concepts at street festivals and farmers markets. Every business needs to balance its receivables and payables. For businesses that rely on human resources, the problem can be compounded, as payments come in late, but employees still need to be paid on time. When Staten Island contractor John Montijo started his own business nearly two decades ago, he did his best to keep some savings on hand. He understood that construction businesses often struggle with cash-flow due to late payments, but he wasn’t quite sure what to do about it. In fact, according to the J.P. Morgan study, labor-intensive industries have far more cash-flow issues. Restaurants have the most volatile ledgers, averaging $957 in daily inflows versus $968 in daily outflows. Construction businesses average $438 in outflow and $445 of inflow, while retail averages were $409 and $413. Eventually, John figured out a way to mitigate the late-payment problem. He began billing his customers in more frequent increments, so that he’d have more inflow. As it turned out, his customers were also pleased to write him smaller checks rather than three or four large ones. Kevin Hennessey took an aggressive approach when he opened Brabo, his payroll company based in Plymouth, Mass. He invested $100,000 of his own money early on, opened a line of credit, and hired sales staffers as quickly as he could—knowing that the more of his profits he invested back into the company in the early-going, the more he’d make in the long run. According to the C2FO Working Capital Survey, 80% of small-business owners would use additional cash to invest in inventory, operations, hiring, or research and development. Only 20% would use it to meet current obligations or create contingency plans.